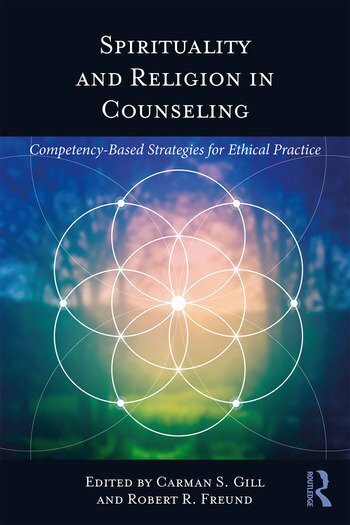 Spirituality and Religion in Counseling: Competency-Based Strategies for Ethical Practice provides mental health professionals and counselors in training with practical information for understanding and responding to clients’ needs using a spiritual and religious framework. This work conceptualizes spiritual and faith development in a holistic way, using case examples and practical interventions to consider common issues through a variety of approaches and frameworks. This is an essential compendium of actionable strategies and solutions for counselors looking to address clients’ complex spiritual and religious lives and foster meaningful faith development. Carman S. Gill is an associate professor of mental health counseling at Florida Atlantic University and a past president of the Association for Spiritual, Ethical, and Religious Values in Counseling (ASERVIC). Robert R. Freund is a visiting assistant professor of counseling and psychological services at the State University of New York at Oswego.